Since 2015, Grassroots Leadership Academy has inspired citizens to be bold leaders that improve their communities and break barriers that stand in the way of people realizing their potential. As a project of Americans For Prosperity Foundation, we focus on providing educational programs and partnering with local organizations to educate the public about some of the biggest challenges facing our communities, like K-12 Education, Free Speech and Toleration, and Criminal Justice Reform. Our goal is to move our society toward one of mutual benefit, where people succeed by helping others improve their lives. Grassroots Leadership Academy offers free, in-person trainings in 35 states. Our training programs focus on equipping concerned citizens with the skills needed to remove barriers to opportunity in their communities. We empower our activists to elevate themselves into positions where change is at their fingertips. Thomas Bingham currently works as a Grassroots Trainer & Curriculum Specialist for Grassroots Leadership Academy. 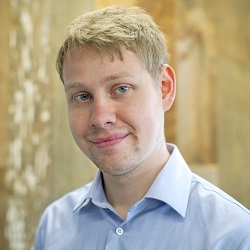 Before joining GLA, Thomas worked in the Political Training Division for the Leadership Institute and managed the Campaign Management School and Campaign Data Workshop. While at LI, Thomas trained hundreds of activists on how to influence public policy. Before joining the Leadership Institute, he worked for the National Rifle Association and managed two major elections in Montana and Northern Virginia as a Campaign Field Representative. Thomas received a B.A. in Political Science and a Master’s in Public Policy and Administration from California Lutheran University. While in college, he worked on several campaigns in California, fundraised for California Lutheran University, and worked for the National Archive and Records Administration at the Ronald Reagan Presidential Library. In his personal life he enjoys the outdoors and riding motorcycles. Thomas joins the Grassroots Leadership Academy after working in the Political Training Division for the Leadership Institute and managed the Campaign Management School and Campaign Data Workshop. 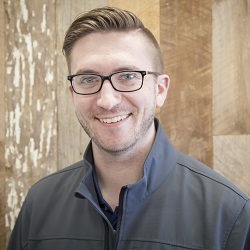 Ryan Black joined the Grassroots Leadership Academy in early 2015, coming from the Indiana chapter of Americans for Prosperity Foundation where he served as Grassroots Director. 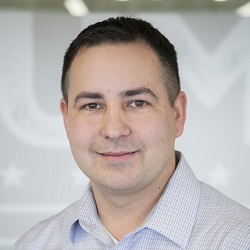 With 15 years of experience in campaign management and grassroots organizing at the local, state, and federal levels, Ryan began his career in the early 2000’s with the Indiana House Republican Campaign Committee. During 2010 election cycle, Ryan’s campaign teams helped erase over 150 years of incumbency in Statehouse districts across Southern Indiana. Along with multiple campaign roles, Ryan also worked in the educational choice movement, where he worked to organize support for choice and reform in the Hoosier State. 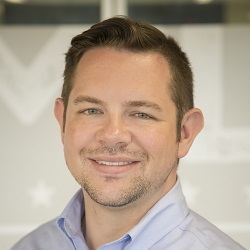 With over a decade of experience in grassroots organizing, Ryan has served in previous roles as a Field Director for Americans for Prosperity Foundation and other pro-liberty organizations. Rachel served as State Representative for District 56 in the Florida House of Representatives from 2008-2012. At that time, she was the youngest Republican woman ever elected to the Florida Legislature. Prior to being elected, Rachel served her community on the local and state levels with the Hillsborough County Board of County Commissioners and the Florida House of Representatives. She also served at the White House Office of Faith Based and Community Initiatives under President George W. Bush. Rachel is passionate about grassroots movements and advancing freedom in her role as a Strategic Director for Americans for Prosperity Foundation. Rachel comes to Grassroots Leadership Academy after serving as the youngest Republican woman ever elected to the Florida Legislature. Michael joined the Grassroots Leadership Academy after serving as Field Director with Americans for Prosperity Foundation in New Hampshire. With nearly a decade of political organizing experience, he has worked as a field director for a New Hampshire gubernatorial candidate, a field representative for several congressional campaigns, and a state political committee. In addition to his grassroots organizing experience, Michael also spent several years working in the New Hampshire State Senate as a Legislative Aide. Michael has a Bachelor of Arts in Psychology and Justice Studies from University of New Hampshire. Michael joined the Grassroots Leadership Academy after nearly a decade of grassroots organizing experience, including most recently with Americans for Prosperity Foundation in New Hampshire. Cheryl Couture worked for Americans for Prosperity Foundation as a Field Coordinator in 2012 as well as a Field Director from 2013-2014, and a Sr. Outreach Director for the Bridge to Wellbeing from 2015-2017. Prior to joining AFP Foundation, Cheryl founded a local group that educated citizens on the U.S. Constitution. Additionally, Cheryl homeschooled her 2 sons for twelve years. She assisted local homeschool groups and presented orientations to parents who were new to homeschooling. Cheryl previously served as a Field Director for Americans for Prosperity Foundation and a Sr. Outreach Director for the Bridge to Wellbeing. Prior to joining the Grassroots Leadership Academy, Daryl Ann worked as the Youth Leadership School Director at the Leadership Institute where she was responsible for identifying, recruiting, and training young adults across the nation. Previously, Daryl Ann was the Campaign Manager for Jeff Thompson’s successful 2011 State Representative campaign in Louisiana. She was also the Youth Coordinator for Congressman Andy Harris’s campaign in 2010. Daryl Ann graduated from the University of North Carolina at Chapel Hill with a B.A. in Political Science and Communication Studies. 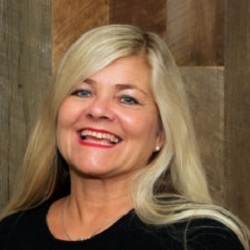 Daryl Ann previously worked as the Youth Leadership School Director at the Leadership Institute where she was responsible for identifying, recruiting, and training young adults across the nation. 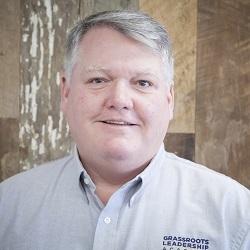 Jason Edson comes to the Grassroots Leadership Academy after spending the last decade being involved in political campaigns in his home state of Massachusetts. Jason recently served as the Technology Director of the Massachusetts Federation of Young Republicans as well as serving on many local community board of directors. Jason is grounded to his community as a volunteer firefighter, serving as captain and leading their training department. Jason comes to the Grassroots Leadership Academy after spending the last decade being involved in political campaigns in his home state of Massachusetts. Ron joined the Grassroots Leadership Academy from the Ohio chapter of Americans for Prosperity Foundation, where he served as a Senior Field Director in rural eastern Ohio. Before coming to AFPF, Ron ran for State Representative in 2014 after working five years as a television journalist, most recently at WTOV-TV in Steubenville, Ohio. Ron was born in Florida but was raised in Ohio. He is a graduate of The Ohio State University where he majored in Communications. While enrolled at OSU, he was a Politics, Society and Law Scholar and studied abroad in Mexico City. Ron has served as a Senior Field Director for Americans for Prosperity Foundation and worked five years as a television journalist. 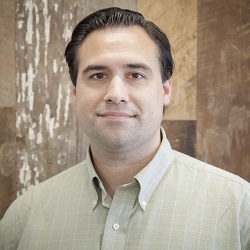 Rob Gutierrez was born and raised in Miami, Florida. He attended Florida International University earning a B.S. in Criminal Justice and a certificate of Leadership Studies. Rob then attend Georgia Southern University where he completed a M.S. in Education, specializing in Higher Education Administration. Before joining GLA, Rob worked at Longwood University and served as the Education Manager for the LIBRE Institute, where he oversaw the organization’s educational programs. Rob previously worked for the Libre Institute, where he oversaw the organization’s educational programming. 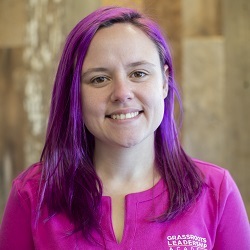 Mallon joined the Grassroots Leadership Academy after spending the last 6 years with AFP Foundation working in donor events, team management, and executive teams. 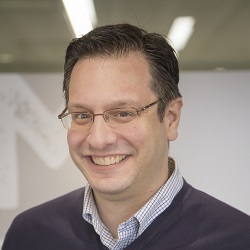 Specializing in enabling people to enjoy and achieve, Mallon is passionate about developing and maintaining organizational health and intentionally cultivating culture within an organization. 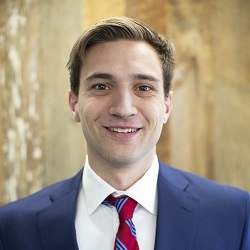 A 2007 graduate of Hillsdale College and an alumnus of the Koch Associate Program, Mallon worked at the Charles Koch Institute before joining AFP Foundation. 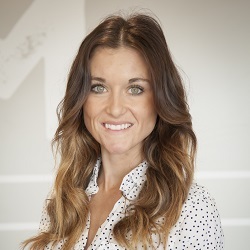 Mallon is a proud native Wisconsinite but currently lives with her husband and son in North Dakota, where her husband is a pilot for the United States Air Force. 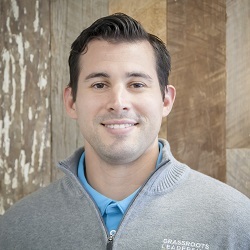 Mallon joined the Grassroots Leadership Academy after spending the last 6 years with Americans For Prosperity Foundation working in donor events, team management, and executive teams. Sean joins the Grassroots Leadership Academy after serving as the Southeast Legislative Director for U.S. Term Limits and as the Chairman for the Greater Birmingham Young Republicans in Alabama. He also has served the early years of his career working in operations in both banking and technology. Sean is passionate about advancing issues that he believes in by being a frequent volunteer and participant in various grassroots and outreach events. When he’s not teaching citizens about the skills needed to fight for freedom, Sean likes to play with his energetic son and two Golden Retrievers as well as spending most of his free time practicing his cooking skills to become the next Iron Chef. Sean joins the Grassroots Leadership Academy after serving as the Southeast Legislative Director for U.S. Term Limits and as the Chairman for the Greater Birmingham Young Republicans in Alabama. Jhael brings a diversity of knowledge and experiences to the Grassroots Leadership Academy. She is passionate and grateful to be educating and equipping activists with knowledge and skills necessary to advance empowering free market principles. She has broad experience in community outreach through organizing, public speaking, social media, teaching, and grassroots activism training. Prior to joining GLA, she served as a Field Director for Americans for Prosperity Foundation in Miami, Florida where she recruited, trained, and developed grassroots activists from diverse backgrounds that shared a love of freedom. 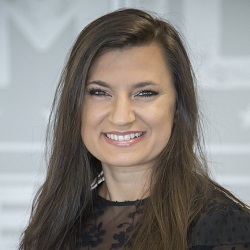 Prior to joining Grassroots Leadership Academy, Jhael served as a Field Director for Americans for Prosperity Foundation where she recruited, trained, and developed grassroots activists from diverse backgrounds that shared a love of freedom. Kiran Hill joined the Grassroots Leadership Academy after working for the Libre Institute in Nevada. Prior to Libre Institute, Kiran had experience organizing grassroots advocacy at the local and state level within the Republican Party. Kiran served in the U.S. Marines for 11 years, and worked as a contractor for the United States Department of Defense and the State Department in Iraq, Afghanistan, and Israel. After serving as a U.S. Marine for 11 years, Kiran Hill joins the Grassroots Leadership Academy with previous work for The Libre Institute in Nevada. Ray Hoskins is a former United States Air Force Pararescue serviceman who served his country with distinction. After serving, Ray returned to Ohio and became a youth pastor and wrestling coach. Additionally, Ray attended Ashland University where he received his Bachelor’s in Education and spent thirteen years in public education. In 2010, he enrolled in graduate school at Kaplan University where he earned his MBA. Ray eventually went on to successfully sell life insurance and help clients protect their retirement savings. He and his wife Jenny have been married for twenty years and have 5 boys together. Ray Hoskins is a former United States Air Force Pararescue serviceman who served his country with distinction. Matthew currently works at Americans for Prosperity Foundation as a Senior Grassroots Trainer & Curriculum Specialist after nearly five years in fundraising for free-market organizations. In previous roles, Hurtt worked to raise millions of dollars for causes that helped to further the message of economic prosperity. Hurtt launched his career in conservative activism at the Leadership Institute where he’s trained thousands of activists across the nation. A Tennessee native, Hurtt attended Middle Tennessee State University. 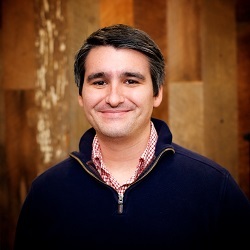 Matt launched his career at the Leadership Institute and subsequently has raised millions of dollars for causes that helped to further the message of economic prosperity. Daryn joined the Grassroots Leadership Academy after serving as the New Jersey State Director for Americans for Prosperity Foundation. Daryn has years of experience as a political activist and campaign strategist. 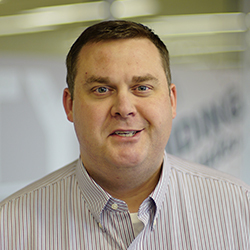 As a manager of training and curriculum, Daryn uses his experience to create materials and deliver training based upon his wealth of experience in political leadership and economic philosophies. Prior to joining the AFP Foundation, he served in Governor Rick Scott’s administration and was the Regional Director of North Florida for Romney for President. Daryn has years of experience as a political activist and campaign strategist, most recently as the New Jersey State Director of Americans for Prosperity Foundation. Jamie Jackson joins the Grassroots Leadership Academy after more than ten years as an award-winning, Emmy-nominated journalist. Jamie has worked as a News Anchor and Reporter for CBS, NBC, and ABC affiliates in Ohio, Virginia, and Indiana. He also oversaw video content for The Daily Signal in Washington, D.C. During his career, he has covered countless stories spanning from local neighborhoods, Capitol Hill, and The White House. Jamie also served as a Communications Director in the House of Representatives. He holds a Bachelor of Arts degree in Justice Studies from James Madison University and is currently working on a master’s degree. He enjoys teaching and has been a guest lecturer at West Chester University and Wheaton College. Jamie Jackson joins the Grassroots Leadership Academy after more than ten years as an award-winning, Emmy-nominated journalist. Dan Johnson is a seasoned activist with nearly a decade of experience in grassroots organizing and strategy. He has founded three national nonprofit organizations, including an activist training center, written or co-written numerous pieces of legislation, and organized and trained thousands of grassroots activists from coast to coast. He has worked across the political spectrum, organizing numerous nonpartisan coalitions and working to find common ground in communities, states, and Washington. 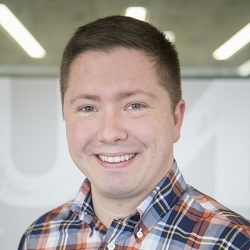 Dan is passionate about teaching and training to transform peoples’ lives and break barriers, and finding creative solutions to societal problems that can bring all people together. 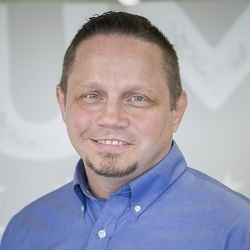 Prior to joining the Grassroots Leadership Academy, Dan Johnson founded and directed three nonprofit organizations, including an activist training center. 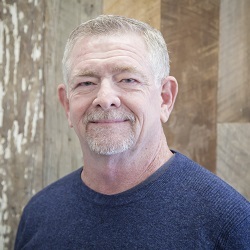 Dave Johnson has more than 30 years of experience in grassroots organizing, political advocacy and strategic messaging. Prior to joining GLA, Dave founded several successful political consulting and public affairs firms. One of those firms was named a “100 Best” political consulting firm by Campaigns & Elections magazine. Previously, Dave served as Executive Director of the Republican Party of Virginia and worked in numerous positions with the National Republican Congressional Committee’s political / field division. As GLA’s Director of Training and Curriculum, Dave leads the curriculum team in the development of all training materials and ensures the trainers are up-to-date on the latest grassroots methods and best practices. Dave founded several successful political consulting and public affairs firms, one of which was named a “100 Best” political consulting firm by Campaigns & Elections magazine. Zak Kubin joins Grassroots Leadership Academy after spending four years at Americans for Prosperity Foundation’s Arkansas state chapter. As a Senior Field Director and Grassroots Director, Zak worked to build a state-wide grassroots community. While attending the University of Central Arkansas, Zak founded the local Youth for Ron Paul & Young Americans for Liberty chapters and served as the state chair for both. Zak resides in Arkansas where he also serves as a Company Commander in the Army National Guard. Zak joins Grassroots Leadership Academy after spending four years at Americans for Prosperity Foundation’s Arkansas state chapter. Nick Laurila was born and raised just outside of Chicago in Carol Stream, IL. 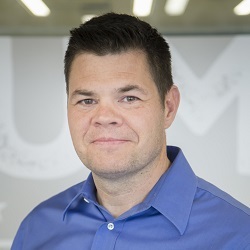 Prior to joining the Grassroots Leadership Academy he has worked in Division I College Athletics at Michigan Technological University, The University of Alabama in Huntsville, and The Ohio State University. In his most recent role prior to GLA he served as the Video Coach for the 2018 Women’s Olympic Ice Hockey Team. 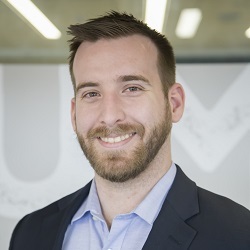 He earned his bachelor’s degree in business administration from Michigan Tech in 2010 and his MBA from The University of Alabama, Huntsville in 2016. 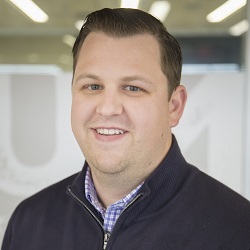 Nick holds a bachelor’s degree in business administration in addition to an MBA and before joining the Grassroots Leadership Academy served as the Video Coach for the 2018 Women’s Olympic Ice Hockey Team. Duane joined Americans for Prosperity Foundation with years of experience as an independent conservative blogger and former Navy journalist. 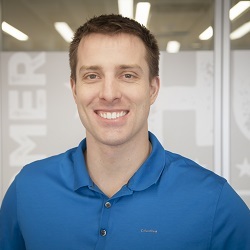 Duane started AllAmericanBlogger.com in 2007 and earned the Breitbart Blogger Award from the Heritage Foundation and the Franklin Center for Public Integrity in 2012. 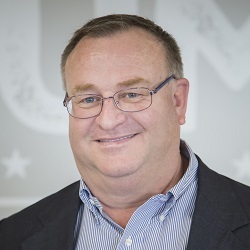 Additionally, he founded The Missouri Torch, focusing strictly on state-level politics which quickly grew to be the most read and influential conservative blog in the state of Missouri. Duane now focuses on growing and improving the capabilities of conservative activists across the country through the Grassroots Leadership Academy. Duane joined Grassroots Leadership Academy with years of experience as an independent conservative blogger and former Navy journalist. Paige “Duffy” Lewis is a South Carolina native, currently residing in Charleston. 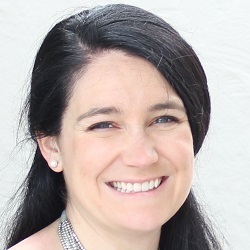 Paige joined Grassroots Leadership Academy as a Grassroots Trainer and Curriculum Specialist after nearly twenty years serving in political activism and Republican Party leadership, as well as eleven years teaching at the collegiate level. She earned her master’s degree in American history at the University of Charleston and The Citadel. Paige is also an alumna of Queens College in Charlotte, N.C., where she earned a bachelor’s degree in history, drama, and political science. 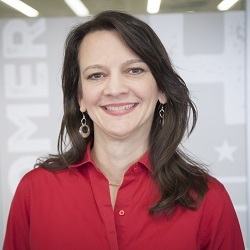 Paige joined the Grassroots Leadership Academy after nearly twenty years serving in political activism and Republican Party leadership, as well as eleven years teaching at the collegiate level. 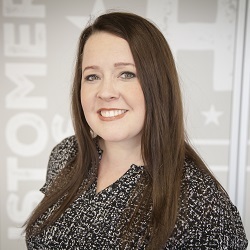 Hailing from the freedom-loving state of Texas, Rachel joins the Grassroots Leadership Academy after serving in Human Resources Operations at Americans for Prosperity Foundation and Freedom Partners Shared Services. In addition to her passion for forwarding a free and open society, she brings experiences of operations and programming to the GLA team. Rachel holds a Bachelor of Arts in Politics from the University of Dallas. 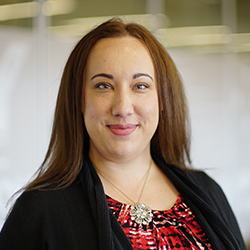 Rachel joined the Grassroots Leadership Academy after serving in Human Resources Operations at Americans for Prosperity Foundation and Freedom Partners Shared Services. Stephanie is a political, democracy and media educator of eighteen years with work spanning thirteen countries. Stephanie’s work has included expanding democracy and free market economies overseas as well as work in campaign management and grassroots advocacy in Florida and Georgia. Stephanie works with the Grassroots Leadership Academy to educate activists on the principles of freedom, prosperity and individual liberty. Stephanie is a political, democracy, and media educator of eighteen years with work spanning thirteen countries. 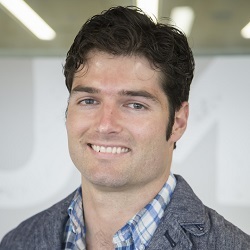 Jeb Morris is a Senior Grassroots Trainer and Curriculum Specialist with the Grassroots Leadership Academy. Before joining GLA, Jeb previously served as Florida Deputy State Director for Generation Opportunity, Senior Field Director for Americans for Prosperity, Operations Director for the Republican Party, and helped numerous campaigns at the federal, state, and local levels. Originally from southern Maryland, Jeb started his career in Florida where he graduated from the University of North Florida with a Bachelor’s degree in Political Science. When not on the road with GLA, Jeb enjoys playing golf and freshwater fishing. Jeb previously served in grassroots leadership with Generation Opportunity Institute, Americans for Prosperity Foundation, and numerous campaigns at the federal, state, and local levels. Carlos Muhletaler joined the Grassroots Leadership Academy team after working as a Sr. Field Director for AFP Florida and later becoming a Field Relations Specialist for the Field Technology Group at AFP. Carlos has been involved in the advocacy for economic freedom and grassroots organizing for more than 20 years where he worked for advocacy organizations such as Citizens for a Sound Economy and Florida Stop Lawsuit Abuse. Carlos holds a B.A. in Political Science from Regis University and an M.A. in Latin American and Iberian Studies from Vanderbilt University. 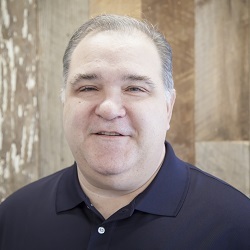 Carlos has been involved in advocacy for economic freedom and grassroots organizing for more than 20 years with organizations like Americans for Prosperity Foundation. 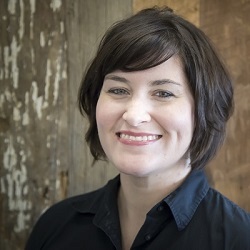 Jenna Netherton is a Grassroots Trainer & Curriculum Specialist for the Grassroots Leadership Academy. As a former state senator from South Dakota, she was elected as the youngest female legislator in the state’s history. She served as Vice Chairman of the Education and State Affairs Committees. Jenna is an advocate of liberty at home and abroad. She was honored as a top 10 conservative under the age of 40 and was invited to speak at CPAC. Jenna also received an award for Conservative Excellence from American Conservative Union and has been a delegate to Turkey and China. Jenna is motivated by the inspirational leadership of our country’s early pioneers and strongly believes in the power of an individual to positively influence their community. She currently resides in Texas with her husband. Jenna joins the Grassroots Leadership Academy after previously being elected as the youngest female state legislator of South Dakota and considers herself and advocate of liberty home and abroad. Mary is an experienced grassroots organizer who has worked on local, state and federal political campaigns. Her experience includes work as National Volunteer Coordinator for McCain-Palin 2008 as well as work for the Republican Governors Association and a Colorado Congressional campaign. In 2010, Conway graduated from Suffolk University Law School and enjoys traveling across America, advancing freedom by developing field staff and activists through her role as a Strategic Director program manager. 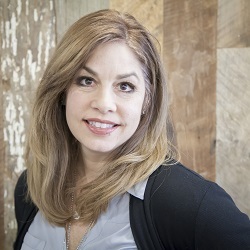 Mary’s experience includes work as National Volunteer Coordinator for McCain-Palin 2008 as well as work for the Republican Governors Association and a Colorado Congressional campaign. Slade O’Brien is a grassroots organizer and public affairs professional with more than 20 years of success. Slade began his career working for the Florida Republican Party before joining Citizens for a Sound Economy as Florida Director. There, he transformed the Florida chapter into a 45,000 member powerhouse. Slade served as President of Florida Strategies Group for 9 years before joining Americans for Prosperity Foundation in 2011 where he now serves as Vice President for the Grassroots Leadership Academy. Slade is a grassroots organizer and public affairs professional with more than 20 years of success. After spending two years owning and operating a horse ranch and trail ride company in Goodyear, AZ, Cait returns to Grassroots Leadership Academy to serve once again as a Grassroots Trainer & Curriculum Specialist. 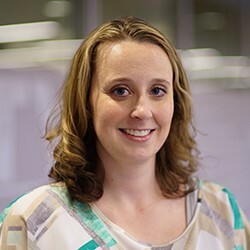 As a native Iowan and University of Iowa alumnus, Cait had the unique opportunity to work under former Iowa Governor Terry Branstad during his gubernatorial campaign and administration. She also spent time working for AFP Iowa as a Field Director and a Communications Specialist. Although Cait continues to own her own company, she’s excited to have the continued opportunity to teach the most advanced grassroots skills to communities across the country. 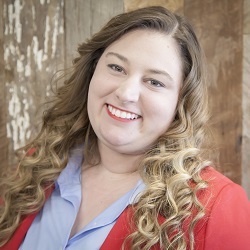 Cait’s unique experience includes work for former Iowa Governor Terry Branstad’s gubernatorial campaign and administration, as an Americans for Prosperity Foundation Field Director, and the owner of a horse ranch in Arizona. Louis Piche serves as a Grassroots Trainer & Curriculum Specialist and is passionate about taking what he learned in the field and sharing it by training others. He joins the team after spending six years with Americans For Prosperity Foundation in Florida. He started as a volunteer for the organization and was quickly hooked on the great work he was doing. Over the next six years, Louis was promoted to serve as the Southwest Florida Field Director and then a Sr. Field Director. Louis joined the Grassroots Leadership Academy after spending six years with Americans For Prosperity Foundation in Florida. 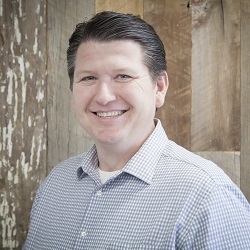 Nick Reed is a native Texan and joins the Grassroots Leadership Academy after working as an Executive Leadership Coach for freedom-minded thought leaders and revolutionaries. 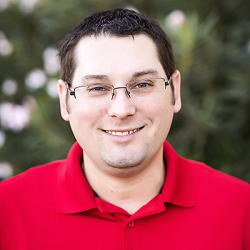 Previously, Nick served as the Director of Passage Bound, Founder of Frontier Liberty, Media Relations Coordinator for the Libertarian Party of Texas and Co-Host of The Voice of Reason Radio Show. Nick joined the Grassroots Leadership Academy after working as an Executive Leadership Coach for freedom-minded thought leaders. Carlos joined Americans for Prosperity Foundation after years of experience working with an international nonprofit organization working directly with members of congress on Capitol Hill. As a Senior Grassroots Trainer & Curriculum Specialist with the Grassroots Leadership Academy, Carlos is able to use his experiences to educate grassroots leaders on tactics and strategies for creating effective freedom based movements. Carlos graduated with a Bachelors of Arts in Business Administration from the University of Central Florida and is a proud Floridian. He enjoys spending time with his family and watching college football. Carlos joined Americans for Prosperity Foundation after years of experience working with an international nonprofit organization working directly with members of congress on Capitol Hill. 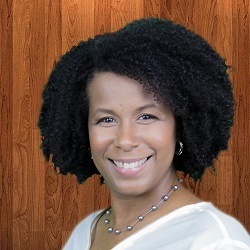 Janisset Rivero is a Grassroots Trainer and Curriculum Specialist. 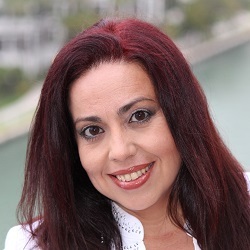 Janisset graduated with a degree in Communications and Advertising in Caracas and earned a BA and MA in Spanish from Florida International University. Janisset has been recognized as an important Cuban human rights activist. As an Executive Director of Cuban Democratic Directorate, she represented Cuban’s struggle for freedom and democracy at the UN’s Human Rights Council and OAS’s Inter American Commission for Human Rights. She has been recognized by the City of Boston and the US Congress for her efforts. Janisset is a published author and a frequent Op-Ed contributor. Prior to her position at GLA, Janisset worked as the South Florida Field Director for The Libre Initiative. Janisset is a leading Cuban human rights activist, having represented Cuban’s struggle for freedom and democracy at the UN’s Human Rights Council and OAS’s Inter American Commission for Human Rights. Prior to joining GLA, Christopher served in the Bush Administration as a Special Assistant in the Department of Labor’s Center for Faith-Based & Community Initiatives. He also served as the Director of Campus Leadership & Core Schools at The Leadership Institute. At The Leadership Institute, he trained thousands of activists across the United States, Canada, and the United Kingdom. Additionally, he was the Field Representative for the Bush/Cheney ’04 campaign in the Thumb region of Michigan. He holds degrees in Political Science and History from Rutgers University. He lives in Virginia with his wife, Laurie, and son, Teddy. 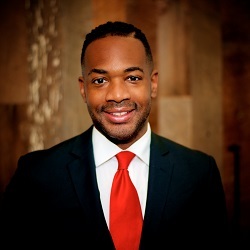 Prior to joining GLA, Christopher served in George W. Bush’s Presidential Administration as a Special Assistant in the Department of Labor’s Center for Faith-Based & Community Initiatives. Prior to joining Americans for Prosperity Foundation, Caleb trained extensively at The American Academy of Dramatic Arts in New York City, where he was a member of their 2011 Off-Broadway Repertory Company. A lifelong conservative, with experience working with grassroots efforts in over a dozen campaigns, Caleb left theatre full-time to fight for limited government after spending a year at Brown University in Providence, Rhode Island. He earned a Bachelor of Arts degree from the University of Mississippi. Prior to joining the Grassroots Leadership Academy, Caleb trained extensively at The American Academy of Dramatic Arts in New York City, where he was a member of their 2011 Off-Broadway Repertory Company. Mike joins the Grassroots Leadership Academy after spending time in both the public and private sectors across the United States and Canada. 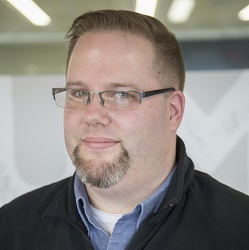 Born in the Greater Toronto area, Mike moved to Des Moines, Iowa at the age of fourteen. 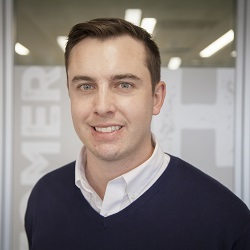 He recently worked at a public affairs/public relations firm based in the Midwest that focused on building coalitions and effective messaging for pro-growth policies in the fields of energy, healthcare, education and more. Mike received a B.A. in Political Science and International Relations from the University of Iowa. October 25, 2018, he took the oath to become an American citizen and voted for the first time ever in the Mid Term Elections shortly after. Mike joins the Grassroots Leadership Academy after spending time in both the public and private sectors across the United States and Canada. Rhachel Toombs joined the Americans for Prosperity Foundation after previous roles in education and grassroots organizing. Rhachel launched her career in political activism as a Field Director with Americans for Prosperity. In this role, she developed and implemented the Torchbearer Program, created AFP’s first recruitment script, and facilitated the only AFP regional Facebook group. As an educator Rhachel taught hundreds, including living in Beijing, China to teach ESL and serve as a missionary. A native of Florida, Rhachel graduated from Rollins College with a B.A. in Music. Rhachel joined the Grassroots Leadership Academy after previous roles in education and grassroots organizing in Florida with Americans For Prosperity Foundation. Sarah joined Grassroots Leadership Academy after years of volunteering on the front lines of the liberty movement and gaining an audience as a Libertarian voice in new media. Sarah is a regular guest host and contributor to the We Are Libertarians media network, contributing her passion for criminal justice reform and free market social justice to the conversation about rights and liberty in a modern ever-changing landscape. Before coming to GLA, Sarah was the Political Director for the Libertarian Party of North Carolina and the Chairman of the North Carolina Professional Association of Nannies, where she helped organize several training events. Sarah joined Grassroots Leadership Academy after years of volunteering on the front lines of the liberty movement and gaining an audience as a Libertarian voice in new media.